Super bargain from Fujiya Camera! Excellent working condition, some corners of the skin is coming out, but that can be easily replaced. 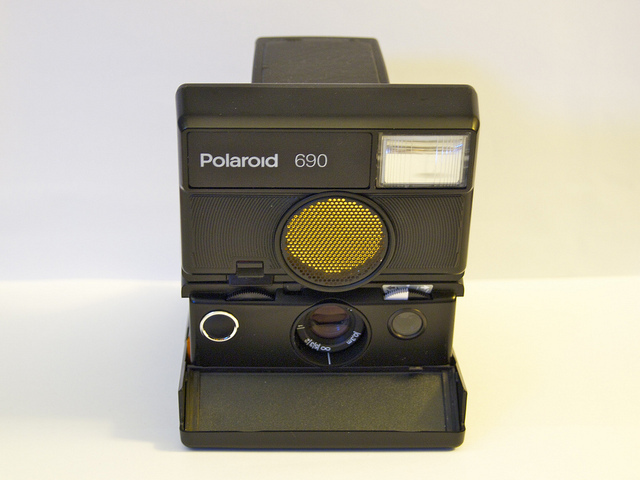 The Polaroid SLR 690 was the final Polaroid model with SLR viewing derived from the original Polaroid SX-70. Like the 680, the 690 has a large sonar-focusing unit above the lens, and was designed to use the Polaroid 600 integral film packs. The 690 also replaced the analog autoexposure circuitry of the 680 with a digital micro-controller.